It’s every family’s dream to own a house that they can call home, but with all things expensive today, it has become very hard for people to immediately get and buy one. So what can people do then in order for them to have enough money and purchase the house of their dreams? Since buying a house spot cash is hardly possible nowadays, that’s when banks and credit unions with easy mortgage rates come in. With the right kind of housing loan, even the average Joe can get the house of his dreams. Banks and financial companies in the United States are offering a lot of this kind of deal and one of these is the Provident Credit Union that was established in the year 1950. Provident Credit Union is on the 19th spot of the largest financial companies in California. Their reputation is known throughout the United States and this is one of the reasons why many people go to them when they apply for a mortgage loan. Members also appreciate their low mortgage rates that are simply easy and acceptable on their pockets. For those interested, Provident Credit Union has branches all over California. Provident Credit Union offers great deals when it comes to mortgage rates or loans and one of this is the Fixed/Adjustable mortgage. This is a fixed deal because its duration is for three to ten years, and then the involved parties will be able to convert it to an adjustable and appropriate rate. It simply means that people can afford their first home and be able to move up to a better house without having any problems. How does one pay for it? For those with conforming loans amounting to $417,000 or less, they can have a period of fixed rate from three to ten years. The rate for the term of ten years is only 3.00% with an APR of 3.089%. While for the 20 year term, the interest rate is 3.50% and an APR of 3.662% and so on. Those who are interested should then check out the Provident Credit Union site for more information with regards to the different mortgage rates. It’s the Love month once again, and you might already be thinking about the perfect Valentines gift for your loved ones. If you’re looking for something that can last longer than flowers or chocolates, then how about giving your sweetheart something that’s worth the money – and with a greater cashback reward as well. Open a certificate of deposit account, and give him/her a gift well worth investing in. CD rates from different banks and credit unions have so much to offer, and they all vary in their APY offerings in order to woo consumers. However, it helps to choose a company that has competitive CD rates. One such example is the General Electric Credit Union. With its APY rate of 1.05%, it is able to overshadow the National CD average rate of 0.75%. The rates shown on the table will remain fixed for the entire remainder of your terms. Upon maturity, an automatic renewal will be placed, but you can also withdraw the full amount as you wish. Either way, you will be getting more than what you’ve paid for initially. Allow the full maturity time to pass however, so that you will not incur any penalty fees. Opening a high-earning CD account truly is a gift in itself. And the best part? You can spend the money you’ve kept safely tucked away to go on a romantic cruise with your sweetheart next Valentines day! Credit Unions VS Banks: Which One To Choose? We all know how the US economy has been struggling for stabilization. But with the uncertainties of countries in Europe such as Greece, the US can’t help but be swept along with the tide. This of course leads to lowered interest rates with bank CD’s and savings accounts, and to top it all off, banks are now announcing that they will be charging monthly fees to debit cards. 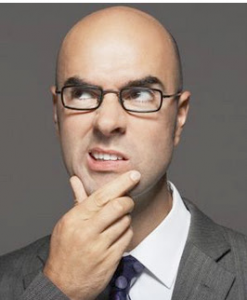 With all the hullabaloo going on with our trusted banks, many consumers are starting to look for better options. And right now, credit unions have got their attention. The popularity of credit unions is slowly growing, but what do we really know about them and what is their difference to banks? Below is a quick comparison of credit unions and banks. This is where the big difference lies. Banks are for-profit organizations that are owned by shareholders. Since it is an institution where profit is foremost at their minds, this could mean that customers can become a means towards that end. This doesn’t mean that banks don’t care about their consumers, but it does mean that they are still looking to make a profit without driving their customers away. Credit unions on the other hand is a non-profit organization that is owned by membership. Meaning, once you join a credit union, you will be a member and an owner at the same time. This gives you the right to run for the Board of Directors, and each member will get one vote regardless of how much money he has in the union. The ownership allows members some control on how the union is run, and even the directors are all volunteers without a salary. This process ensures that the union will look out for the financial interest of the members, and not a small group of private shareholders. Credit unions are also allowed to make a profit using the pooled money of its investors, but the reserve earnings is just to ensure the safety of the union in case of economic turmoil. The Board can also agree that once the reserve amount is reached, the excess can be given back to its members in the form of lowered interest rates or even bonus checks. The only downside to credit unions is its membership. Most CU’s have a restriction with regards to eligibility because the members share a common denominator such as belonging to the same community, or having the same occupation. Bank membership however, is open to all. Banks and credit unions basically have the same products to offer. Whether it’s savings accounts, checking accounts, loans and certificates of deposit, you name it, credit unions have it too. The advantage that credit unions usually have over banks is that they can offer better rates such as higher interest rates for CD’s and lower mortgage amortizations. Banks on the other hand are often much larger than credit unions and may be able to offer more services and promotions as compared to smaller credit unions. Aside from that, banks also offer excellent online banking services and much more efficient customer service that is available 24/7. Banks are insured by the Federal Deposit Insurance Company or FDIC for a maximum amount of $250,000 while Credit Unions are also insured by a different entity called National Credit Union Share Insurance Fund or NCUSIF. Some claim that the NCUSIF is arguably stronger than the FDIC. When it comes to choosing banks or credit unions however, aside from checking whether they are insured, it is also important to look at the reputation and the number of years the institution has been in service. Banks are generally larger and thus harder to topple down when an economic crisis hits, and insurance or not, it does take some time before depositors can claim their money should a financial institution closes. As we can see, both banks and credit unions have their own pro’s and con’s. Banks are larger, considered to be safer, and may offer more services. Credit Unions on the other hand offer better rates, and are geared towards the financial interests of its members rather than private shareholders. It’s really up to the consumer which institution caters to their needs best. What about you? Which one do you prefer? Because of economic instability, investors are looking for safer places to park their money so as not to lose their capital. CD rates are quite low, but despite this, it is still considered to be very safe which is why investors are searching for the highest CD rates available. Although some banks offer competitive rates, the highest CD rates as of the past month comes from credit unions. Unfortunately, some credit unions are limited in membership due to several factors such as geographical location, community, and occupation. However, there are some credit unions that are what they call “open to all”. 1. Self Help Credit Union – Membership for this credit union is open for all those who join the Center for Community Self Help or CCSH. To become a member, all you have to do is pay a one-time fee of $20. An additional $5 is also needed to maintain an account. For a total of only $25 you can already open an account and enjoy the rates of SHCU. 2. America’s Credit Union – Although this credit union’s membership is for the Armed forces, civilian personnel and relatives of members, a person can also qualify for membership by simply joining the Association of the United States Army or AUSA. Only a one-time fee of $33 is required. 3. America’s Christian Credit Union – Although the membership for this credit union is limited to a certain belief, many American’s are Christians. Membership is automatic upon signing a document that represents your statement of faith or service. 4. Patelco Credit Union – In order to join this credit union, you have to become a member of the California Association for Older Americans. This CU however is not insured by the NCUA which is the counterpart of FDIC for banks. It is however, privately insured. 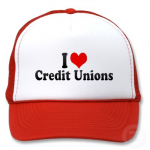 There are more open to all credit unions out there. 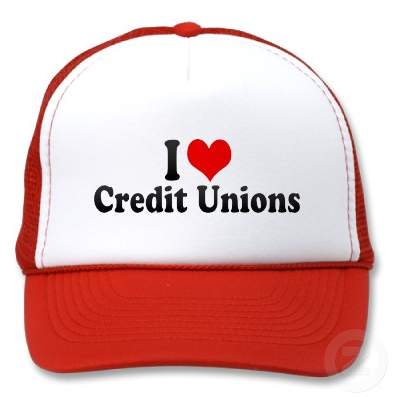 Just be sure to ask and don’t immediately believe if they say credit unions are not for the general public. It must be true, Credit Unions always offer the highest rates on CDs. Worcester Fire Dept. Credit Union is offering a rate of 1.71% APY on their 12 month CD with a minimum deposit of $1,000. That beats the next best deal from AloStar Bank of Commerce at 1.21% APY. This is a better rate than what any major bank is offering for the same terms. For instance, Bank of America is offering a rate of 0.50% APY on a $10,000 minimum for the same 12 month term. Chase is offering 0.25% APY and Wells Fargo isn’t worth mentioning as their rates are low and their minimum deposits are high. Its best to find the best rates on our CD rate table as these rates will be available to anyone within the US or go to your local Credit Union and ask them what their current rates are. All of these terms require an active status with the credit union and also requires a minimum deposit of $1,000. Worcester Fire Dept. Credit Union is located in Worcester Massachusetts and opened its doors to business in 1937 as a way of giving back to its firefighters. The Credit Union also offers a variety of financial products such as loans, credit cards, and deposit accounts. Be sure to contact Worcester Fire Dept. Credit Union to learn about setting up an account and benefiting from the best CD rates on the market. Nowadays Credit Unions are the only institutions that can give relatively high CD Rates. There is no bank today that can offer the rates credit unions have on their table. The only problem is, you have to be a member of the union to avail of these rates. By definition, the members who have accounts in the union are also the owners of the union. And normally, it is only the members of the union who are capable of depositing money with the credit union, or borrow funds from it. This system allows the union to provide superior service, plus help monitor member’s financial health. Rates from both credit unions are extremely competitive and better than what traditional banks have to offer. 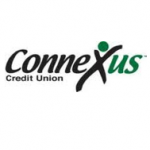 Rates from Connexus Credit Union is available for deposits $10,000 and up with active checking. Rates for deposits less than $10,000 can enjoy slightly lower rates that are still higher than other banks. For accounts $1-$9,999, the rate for a 6 month CD is 1.00%, 1 year CD is 1.25%, and 5 year CD is 2.25%. Although the rates are juicy, the first qualification questions they will ask is whether or not you are a member of the Connexus Association, Northcentral Technical College, Liberty Mutual Insurance, UMR, and Wasau City Employers credit union. If you have that under your belt, then the rest of the application form should be easy. We have to post an update to the best CD rates leaderboard because of some major changes. Melrose Credit Union decided to lower their rates yesterday by about a tenth of a point across the board and since they owned the top spots for four major CD terms, we decided to post a mid-week update. Now that Melrose lowered their rates, this has caused some major shake ups to our leaderboard, with other banks and financial institutions closely behind or over taking Melrose on some CD terms. The New York based credit union still sits at the top of the 36-month and 60-month CD rates and ties for the lead of the 12-month term. Sanibel Captiva Community Bank out of Florida and Bank of Internet from San Diego California still hold onto their spots of the 3-month and 6-month CDs. All of these financial institutions allow anyone nationwide the ability to open and invest into their certificates of deposit, either through the mail or online. Most credit unions have strict requirements that drastically reduce who can qualify for their CD products, but Melrose is an open-ended Credit Union, allowing anyone, anywhere to register for a $1 fee. Be sure to check out the most up to date CD rates from our CD rate boards. These rates can be out dated and as with any certificate of deposit, these rates can change at any time. There isn’t much to report for this week as we come out of a long holiday weekend. 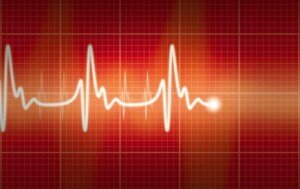 We expect rates to continue their downward slide and could see a shake up in the rates we track sometime this week. It might be wise to lock in some of these CD rates if you are sitting their wondering if rates will increase or decrease. Your best bet in this economy is to lock in short term rates before they fall even further. Melrose Credit Union still holds most of the top CD rates we track. We expect Melrose to lower their rates across the board this week, that’s if they keep with their cycle of cutting rates every 3 months. Their 3 month mark since the last rate cut is this week. These banks and credit unions qualify for our listing because they offer their CDs to anyone nationwide. As with any investment, certificates of deposits can change at a moment’s notice, be sure to check our updated CD rates table for the most up to date information. Melrose Credit Union is not your normal credit union as they allow anyone, anywhere to join. Most credit unions have strict requirements, but Melrose’s only requirement is a $1 fee and to hold $25 in a savings account. We encourage you to visit Bankaholic’s post about their visit to Melrose’s New York office and why they can pay such high rates, while other major banks and financial institutions continue cutting their rates.